Excuse us if we keep rubbing our eyes in disbelief, but we can't help but think that Brigitte Bardot is standing right in front of us. Our common sense tells us that it just can't be since Bardot was making waves in the flower power decade and currently, she's in her 80s...but wow, you have to be her present-day doppelganger! Perhaps it's your long blonde locks; maybe it's your expressive eyes? Actually, it may be your boho-chic style and the camel-colored floppy hat you're sporting! Either way, you're a Brigette Bardot clone and we're sure that any Andy Warhol-wannabees out there would love to make you their muse! Whether you're headed to an outdoor music festival or you just want to look like a vintage fashion icon, this 70s floppy hat is the accessory you need. 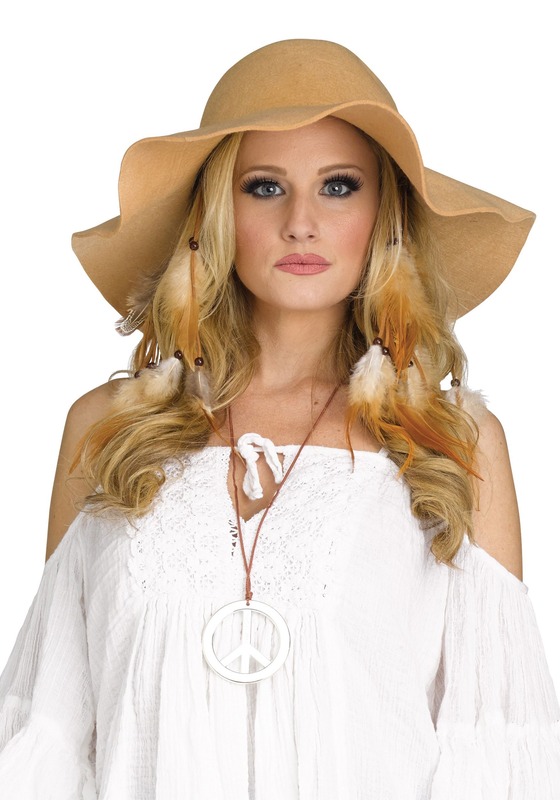 Complete the look by fastening feathers into your hair, draping yourself in billowy tops and bell bottoms, and holding up a peace sign for everyone to see!